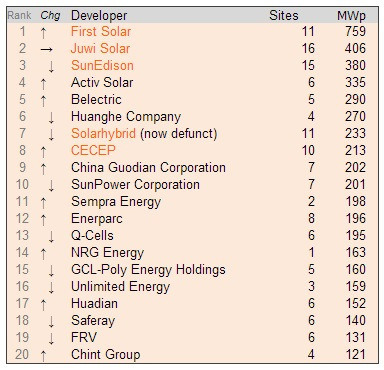 What are the best or top solar power companies on the market? Well, it depends on what kind of solar power companies you’re talking about. 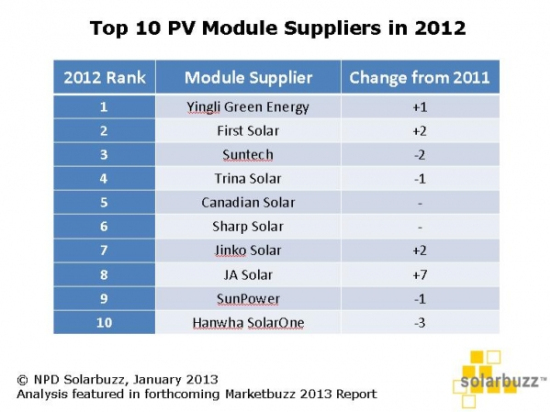 Solar module companies? Solar developers? Solar installers? Residential solar installers? It also depends on what type of leadership you’re referring to. Sales? Efficiency? Worth? Below, I’ll run down leaders in a few of these key arenas. In the US residential solar market, Sunrun, which pioneered solar leasing and PPAs for homeowners, claims the title of “#1 home solar company.” It currently provides such services in Arizona, California, Colorado, Connecticut, Hawaii, Maryland, Massachusetts, New Jersey, New York, Oregon, and Pennsylvania. Meanwhile, SolarCity, which also provides such solar options for homeowners, claims the title of “#1 full-service solar provider.” It and Sunrun, as well as numerous other companies in this space, compete in the home solar market with very similar offerings. SolarCity also implements a lot of projects in the commercial and government arenas. SolarCity is in business in Arizona, California, Colorado, Connecticut, Delaware, Hawaii, Maryland, Massachusetts, New Jersey, New York, Oregon, Pennsylvania, Texas, Washington, and Washington D.C. While about 75% of homeowners who have the choice between purchasing a system or leasing one decide to go with a solar lease, there are critics of this model who argue that a customer gets more out of buying a system than leasing one. However, it really depends on one’s priorities and preferences. If you get a quote from Cost of Solar, we can also call you and discuss your options so that you can decide which route is best for your situation and you. There are actually thousands of solar installers across the US. Sometimes local installers can beat the offers provided by Sunrun and SolarCity, while sometimes those larger solar companies offer a better deal. It depends on many factors, such as the state you are in, the size and shape of your roof, the age of your roof , and so on. I think the best thing to do is talk to someone who can help you navigate the options in your area and get you the best deal for your needs. 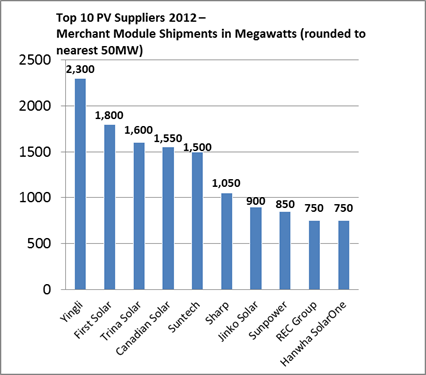 Want a summary of the solar power companies leading a different segment of the solar market? Let us know in the comments!